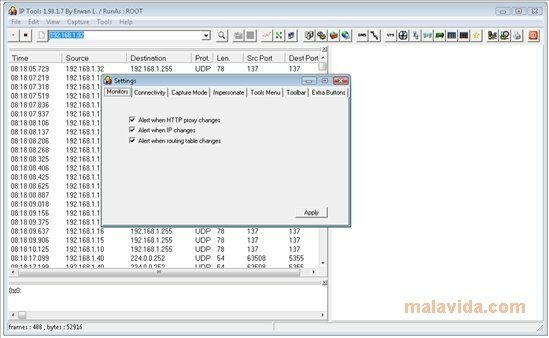 IP Sniffer is a pack of tools that will allow us to perform all kinds of analysis on our network and the traffic that it generates. Furthermore, this download doesn't require installation, so we will be able to place it easily on a pendrive and use it with any computer that we work on. The access to the most important tools can be done directly by means of icons in the programs main interface, where we will also have the option to see the traffic in real time and which remote IPs the computer is connecting to. 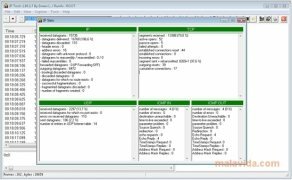 Therefore, if you want a program that comprises all the tools necessary to know even the slightest detail about your network, download IP Sniffer.